Just 6 days to go until the Mad River marathon in Vermont. I’ll run Tuesday in Palo Alto and then Friday in New York City, and neither run will be long. I’ll do strength training on Wednesday and maybe get an early morning bike ride Thursday before I fly east. Saturday, I’ll rest. It's all about planning. Please donate by clicking here. We are matching all donations 1:1. So even $33 yields $66. On the donation front, we passed $19,000 today which continues to be amazing. This third update will give you a little background on The Alliance for Children’s Rights. The Alliance is a Los Angeles charity focusing on supporting and helping children in the foster system. They provide free legal services (usually by practicing attorneys who give their time pro bono), help families adopt children and mentor and train children and teens. “The Alliance for Children’s Rights protects the rights of impoverished, abused and neglected children and foster youth throughout Los Angeles County. We provide free legal services and advocacy to ensure that children and youth—from birth to age 24—have safe, stable homes, healthcare and the education they need to thrive. We also work statewide to improve child welfare practices and policies in order to remove the many barriers our clients face. 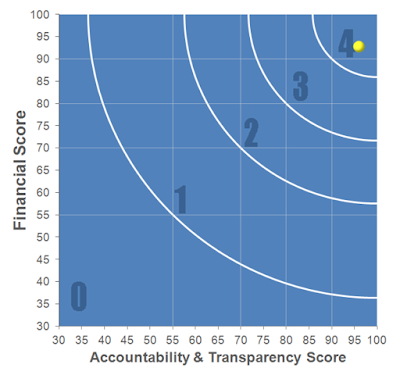 We found the Alliance through charity navigator, a great resource for evaluating the quality of non-profit organizations and how well they direct funds to their goals. The Alliance is a top rated 4 star organization, and 93% of funds raised go to their programs. We were contacted by the team after our donation, and I got involved not only as a donor but as an active member of the community. In the past 5 years, I have co-chaired two LA Marathon fundraising campaigns for the Alliance, served on the Friends of the Alliance committee and helped host a fundraising dinner. I also had a chance to volunteer at a teen workshop where the kids learned everything from car maintenance to healthy cooking. Particularly from this last event, I was able to really meet and speak to some of the people the Alliance helps every day. Only when you speak to these amazing youths do you really feel their dreams and passions and fears. They are friendly and polite, but they also open up and are honest about what life will bring. Maybe this is because most of them have seen sorrow and felt pain - growing up without their parents, often separated from siblings, low on money. The story is not the same for all of them, and the slope is slippery to stereotypes. However, what I also heard was hope - hope they can create their own destinies. I think the Alliance’s clear mission is to inspire that sense. The Alliance is also active in state politics having championed various legislature changes to help foster kids. As an example, they worked to allow fosters to go to age 21 instead of 18. They believe in education and health care and work to expedite these services for kids in the programs they run. Since their founding in 1992, they have helped over 125,000 youths. As you hopefully understand, the Alliance is a great organization.